In creating Reels & Making Them, author John Betts transcribed hundreds of pages of shop notes spanning two decades. The manuscript consists of 450 pages of beautifully handwritten text, hand-drawn illustrations, and over 450 color photographs describing the background, ideas, procedures, and techniques John uses to create hand-crafted reels of aluminum, brass and exotic woods. 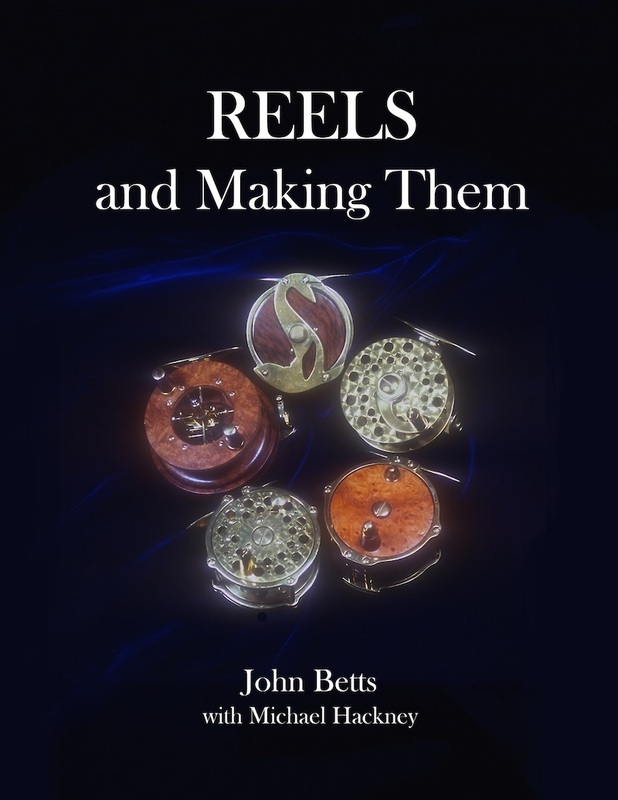 Contained within Reels & Making Them is a complete second book entitledAerials, presenting John's innovative approach to hand-crafting the beautiful and highly functional Aerial reels originated by Henry Coxon in the late 19th century. John's minimalist approach to reel building is based on hand-working tools and techniques and does not require machine tools. The information on laying out complex parts and fabricating them with simple tools and the sections on making screws (including details on John's novel screw slotting jig) are practical and enlightening. In addition to a wealth of reelmaking information, Reels & Making Them also chronicles John's life as a fly tyer, angler and reelsmith. For instance, John recalls meeting famed reelmaker Ari Hart at an angling show in San Francisco, leading to a life-long friendship. Tales of John's childhood raising ducks and stories of fish and fishing will appeal to all anglers. Reels & Making Them originally was published electronically in sections over a period of ten months. Each handwritten and illustrated page was individually and carefully scanned to capture the authenticity, charm and artistry of John's work. It's all here - the erasure marks, corrections, pasted-in photos and illustrations, and blue-lined notebook paper - as close to the original as we could make it. Every Fly Fisher Should Own This Book! Since I have a little machining experience, I can say you have done a very good job. It was a lot of work to make what seems like simple operations "simple". This book sets a high standard; it should be a part of virtually every fly fisher's library, not so much as people should make reels; but rather to know a little about what it takes to make the line holder that balances the rod. The book arrived yesterday. Fabulous! Thanks so much for all the work you guys put into this unique volume. I just received my copy of "Reels and Making Them". What a fantastic book! Tons of information and ideas; all delivered in a unique format. I felt as though I was looking through a private notebook and I'm sure that that's the idea. There is a lot for me to absorb in there. Many thanks to John and Michael! I just got my copy and as with John's rod book, it's a wonderful chronicle of his reel making over the years. I'm sure there will be numerous tips and insights into reels that will help in my own humble efforts.....great job!